Australians are the biggest consumers of chocolate at Easter. I read that somewhere (in an article on taste.com.au that is no longer there). Even if it´s not 100% true, Australians have to be in a top 5 consumers of chocolate at Easter. We´re nuts about the Easter Bunny and egg hunts and all sizes of eggs from the little ones to the super-dooper huge ones. Then there are bunnies, bilbys and mugs with eggs inside them. There are little chocolate chickens and there are chocolate carrots (for the Easter Bunny who still wants his carrot). So here I am in Colombia on the other side of the world to the Easter chocolate frenzy. There is not a chocolate egg in sight. Not even a little marshmallow chicken. And there is definitely no Easter Bunny. When I learned that the Tooth Fairy here is called El Raton Perez, I asked about El Conejo de Pascua and was met with furrowed brows of confusion. Nope, here is it all about Jesus on the cross. I kind of expected a low dosage of chocolate and Easter eggs as when I was in Latin America in 2004 there weren´t any of my traditional bunnies and eggs. However this article says Brazil has the second highest consumption in the world. When I was in Brazil for Easter 2004 I consoled my Easter egg fix with the Brazilian style of Easter egg. I can attest to the fact they are clear plastic egg shapes with normal chocolates and truffles inside hung from the ceiling rather than stacked on shelves. I spent Easter 2011 in the United States and I was surprised by the lack of Easter eggs in the stores. Very surprised. 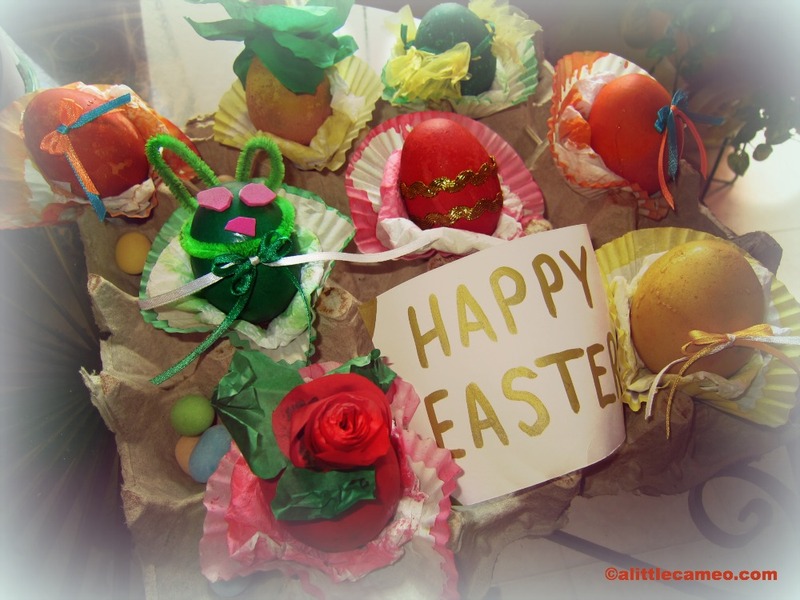 I´m keen to introduce my Aussie Easter traditions to my Colombian family and since having my Australian family ship an Easter Care Package faces the problems of unreliable (if existent) postal service and extreme (ie melting point) heat, I need to get DIY on the Easter Egg front. I´ve thought about making my own chocolates. Not too hard right? Well it helps when you have the plastic moulds to make them in and my favourite baking supply store doesn´t stock an egg shaped mould. The other day I read a tutorial for dyed eggshells filled with chocolate, fruit and nuts on Ali Does It Herself. A bit of traditional egg dying and decorating with the inside goodness of a solid chocolate egg. It was laborious but not too hard. Although Ali didn’t mention that piping the chocolate filling from a plastic ziplock requires hands of steel, or at the very least, oven mitts. But, all the effort and burnt palms are worth it. Easter is saved. There is chocolate! It´s a bit of a tangent to this post on Colombia´s lack of Easter eggs, but I came across an interesting article about where the ingredients come from to make them and it got me thinking. Imagine that your chocolate-a-day habit pays the daily wage of a cocoa worker and that the even more expensive Easter eggs and bunnies are at least two day´s wages. For the cocoa workers who barely earn enough to feed their families and have a roof for shelter, a chocolate bar is a complete luxury. Who has ever been haunted by the poverty of Charlie Bucket´s family in Charlie and the Chocolate Factory and their sacrifices to buy Charlie a chocolate bar in hopes of a golden ticket? That poverty is the reality of cocoa workers in many places in the world (Oompa-Loompas have better work conditions and can eat all the cacao beans they like). From where I live, I can see that this type of poverty is the case for many Colombians too. If you celebrate Easter, whether for religious or chocolate reasons, I wish you a very Happy Easter! Maybe like in other holidays celebrated throughout the year, we can also think about those who are less fortunate and perhaps donate the value of an Easter egg to a worthy cause. 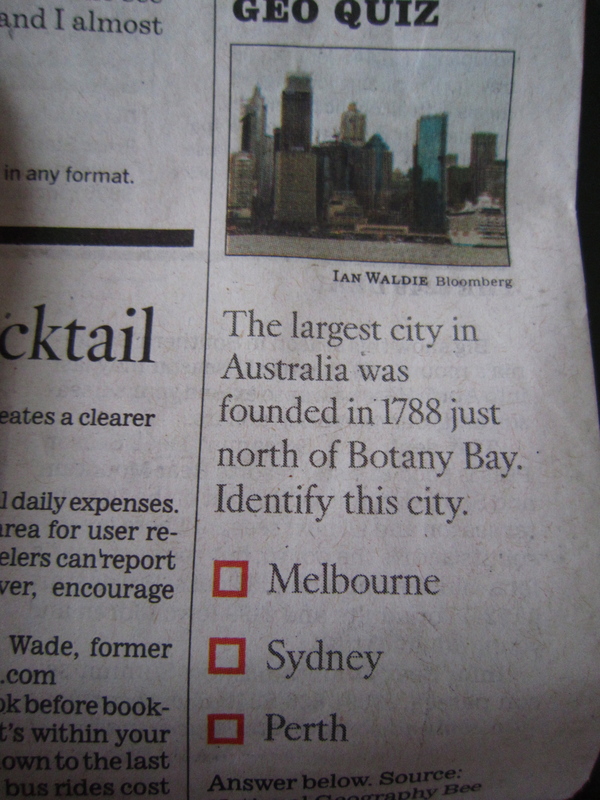 Despite the accompanying photo lacking the two famous icons for this city, I hope you all know the answer.